Heart valve problems used to require open heart urgery, but for some patients this means prolonged hospitalization and recovery. That is why the specialists at the Virginia Mason Heart Institute proudly offer innovative, minimally invasive treatments such as TAVR and MitraClip® to patients experiencing heart valve problems. Transcatheter aortic valve replacement, or TAVR, is a minimally-invasive heart valve replacement procedure that replaces the diseased heart valve. During the procedure, a compressed tissue heart valve is attached to a catheter, positioned inside the narrowed native aortic valve and expanded with the support of a metal stent. What are the benefits of TAVR? TAVR is an option for patients with severe aortic stenosis for whom traditional open-chest surgery may be too risky. This potentially life-saving procedure is most often performed with local anesthetic and moderate sedationin stead of general ansthesia. The benefi ts of TAVR can include shorter hospital stays and faster recovery times. TAVR patients often go home from the hospital and are back to many of their usual activities within a few days. 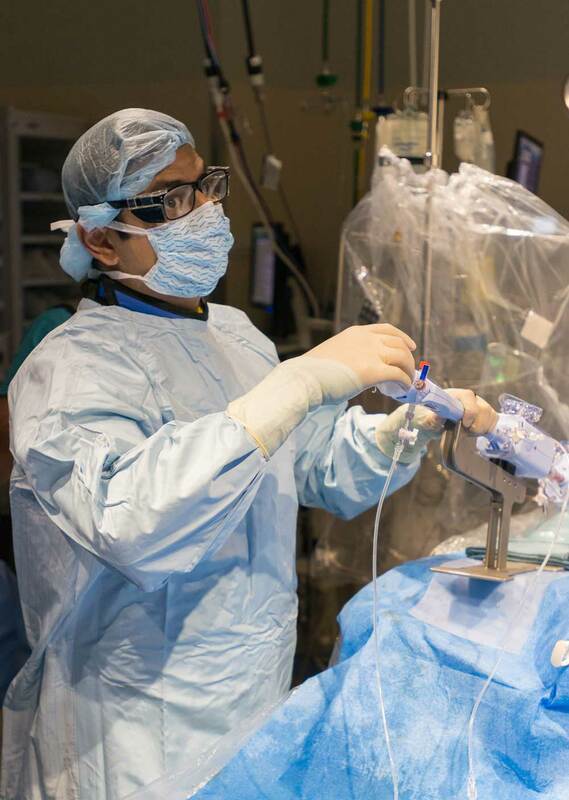 A minimally invasive TAVR procedure for patients who have had previous open heart valve surgery to replace the aortic valve with a bioprosthetic/tissue valve and the tissue valve is now failing. Instead of the failing aortic tissue valve being replaced during another open heart valve surgery, the failing aortic tissue valve is replaced by placing a TAVR valve inside the failing aortic tissue valve. A minimally invasive transcatheter mitral valve replacement (TMVR) procedure for patients who have had previous open heart valve surgery to replace the mitral valve with a bioprosthetic/tissue valve and the tissue valve is now failing. Instead of the failing mitral valve being replaced during another open heart valve surgery, the failing mitral tissue valve is replaced by placing a TMVR valve inside the failing mitral tissue valve. MitraClip® is an innovative mitral valve repair procedure for mitral regurgitation (MR), the most common heart valve disease. MR occurs when the leaflets of the mitral valve do not close completely, allowing blood to flow back into the heart as it pumps. As a result, the heart has to work harder, which can eventually lead to a reduction in heart function, heart failure and death. When MR becomes significant, it can profoundly affect a person's quality of life by causing increased shortness of breath with minimal exertion, increased leg swelling, and repeated hospitalizations for heart failure. 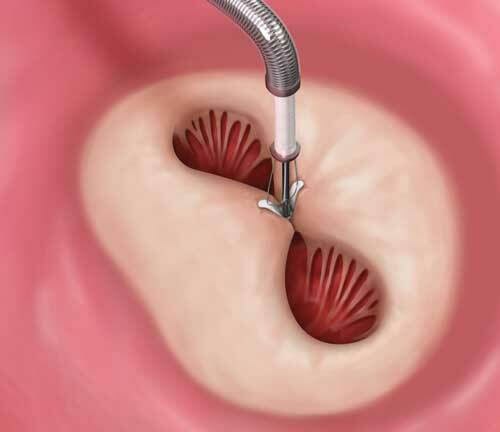 The MitraClip® procedure uses a cobalt-chromium/synthetic “clip” to join the mitral valve leaflets together. This reduces the backward flow of blood and allows the heart to function more efficiently. Moses Mathur, MD, MSc , FACC, performs the innovative MitraClip® mitral valve repair procedure. Who benefits from the MitraClip® procedure? The MitraClip® procedure is a fully percutaneous treatment option for people with a severe leak in the mitral valve who are too high-risk for traditional open heart surgery. Since the procedure in minimally-invasive, patients have a shorter hospital stay and see improvements to their breathing right away. For more information about TAVR, MitraClip® and other heart valve procedures, contact the Heart Institute at (206) 341-111.